It’s become pretty trendy lately for “major” manufacturers to build track-only cars for their wealthier clients to enjoy and pretend they are talented. Ferrari has done it, as has Aston Martin. 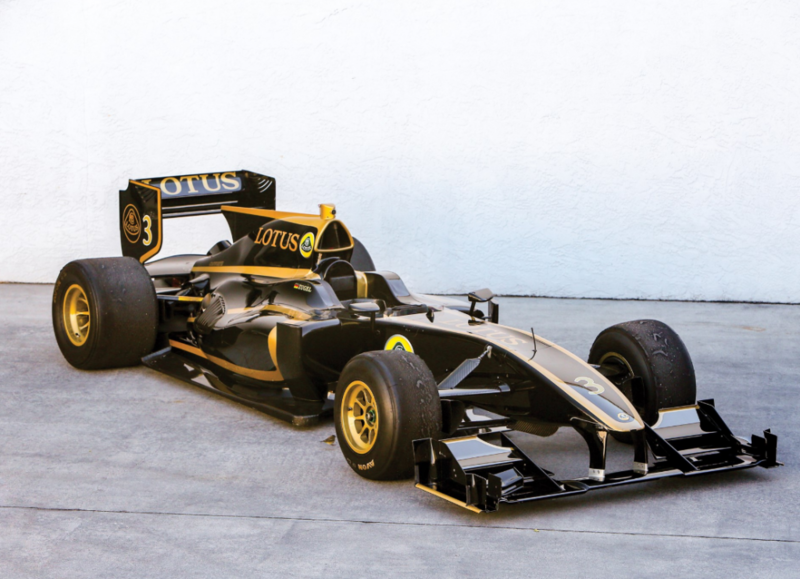 In 2011, Lotus decided to try to do it in a completely different, balls-to-the-wall kind way. Before the recession about killed the company and cost the CEO his job, Lotus head man Danny Bahar was flinging out cool concepts left and right with an awesome product roadmap that would’ve made Lotus a sports car contender again. Just like McLaren ended up doing with much better timing (and funding). Anyway, one of his projects was this, the T125. It’s basically a customer F1 car. Power is from a 640 horsepower, 3.8-liter Cosworth V8. It’s got a bunch of F1 tech inside of it as Lotus was a constructor in F1 at the time. Basically, the car is way too intense for some rando rich guy to hop in and safely pilot around a track. Despite that, Lotus planned an extravagant launch party in the basement of the Louvre where they told select clients that for about $1 million they’d get the car, a transporter, spares, and a professional driver to teach them how to use it. Then they could go race other people who bought in. Well it didn’t work. Lotus ended up building as few as two of these, and rumor is not one of them was ever sold as intended. This one has the classic John Player Special livery and can now be yours. Click here for more info and here for more from this sale. This entry was posted in Uncategorized and tagged 2013, auctions, cars, f1, lotus, race cars, rm sothebys, T125 by classiccarweekly. Bookmark the permalink.